Home » Connectivity » Are You Considering Leaving NetOne Because Of OneFusion? Here Are Your Options. Pictures and videos on these platforms are no longer loading or downloadable. Customers claim they have been running out of credit quicker than usual. NetOne is blaming Facebook because of changes made to their Facebook and Whatsapp apps. For customers, however, the blame game is not enough and if you’re thinking of shifting to another mobile operator here are your options. It’s hard to compare the Megaboost service to the dysfunctional OneFusion right now but it seems Megaboost is only valuable at the $5 and $10 mark. 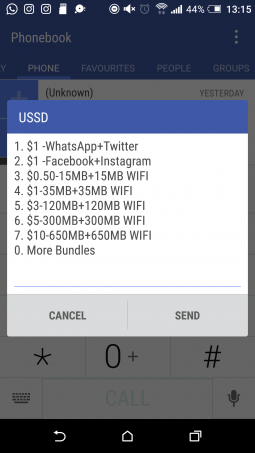 The fact that $2 gives you only 60Mb of WhatsApp data (especially when you consider the how often people use the Whatsapp Status feature) is bewildering. If you’re a big fan of Whatsapp, FB, and Twitter then Megaboost might not quench your thirst. The amount of talk time is hard to gauge because it all depends on your usage patterns as some people rely on Whatsapp for personal calls, and then business calls are left for the network operator. Opting for Telecel might mean you get to miss out on Ecocash, which might not necessarily be a problem if you weren’t using the service anyway. However with the widespread availability and ease of use of Ecocash if you’re switching services this might be something to ponder upon. I don’t really know what customers are supposed to do with 10MB data for Instagram(or 20, if you can access Econet WiFi). Instagram is a data hungry app so 10MB would probably just load a few pictures and videos before running out. For Whatsapp, 20MB seems to be ok for one day of use. The story is similar to the Daily Bundles issue. 90MB might last you a week on Whatsapp as long you are not downloading pictures and videos regularly. Viewing Whatsapp Status’ is also considered as downloading so tread lightly. I use Facebook sparingly so I’m not sure if 70MB can get you through a week but I think if you’re using the Opera Mini browser you might be fine ( those using the Facebook app please inform us of your experience in the comments below). In relation to Instagram, you’ll be lucky if 35MB gets you through a day let alone a week. I am yet to try the monthly bundle services so the guys who have will have to share their experiences in the comments below. Generally, the Whatsapp 220MB seems ‘ok’. Keep in mind if you share and download a lot of media you may run through this in the course of a week. Also, note if you make calls(both voice and video) you’re likely to reach your limit faster. The 110MB is likely to comfortably last throughout the month on Twitter since these bundles block videos and images. 110MB will not last you a month on Instagram(unless you only visit sporadically) but you might be good for 2 or 3 days. On Facebook, the readers will have to help us out again in the comments, but I know that on Opera Mini 220 MB will last you a month unless of course you constantly view videos. Before Econet fans call for my head, please recall that I recommended Econet because of the Ecocash service. They also have the widest 4G coverage in the country, which means if you’re in a 4G area your internet probably flies (mine does!). In terms of speed and coverage, I think Econet has you covered. If it’s worth anything, I am also an Econet user. The reason why OneFusion was so widely celebrated is because they were offering a package that was head and shoulders above the competition (in terms of the data cost at least). Data is generally expensive in Zim so OneFusion had created a package that, until recently, catered for the customers creating a balance between value for money and a more generous portion of data. You also have to understand that you can’t have your cake and eat it. There is no operator that single-handedly covers every need entirely so you’ll have to choose the operator that best caters to your needs. 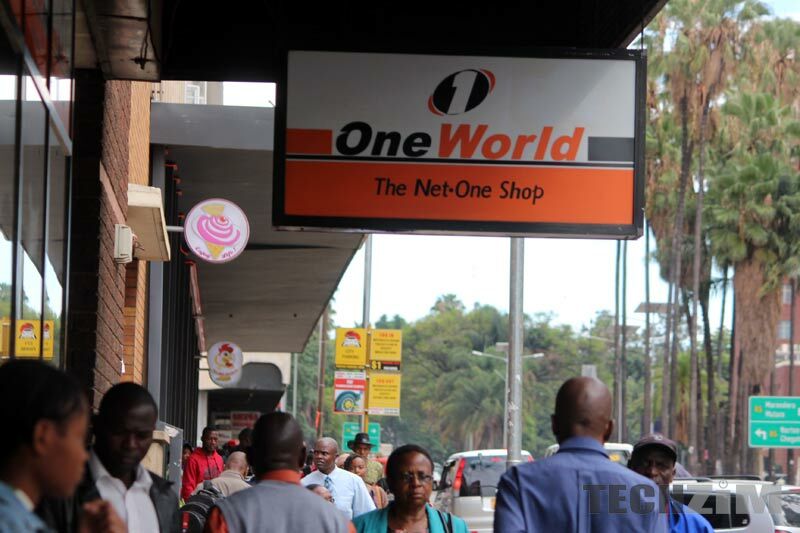 NetOne is believed to be launching a fix soon so it might be wise to wait before making a jump to any other service. You know sharing is caring right!. What network provider do you use, and why? I’m sure other readers would love to hear your views on which service to migrate to. Please share in the comments below. Looks like the mega boost is the next best thing, we had a good run with onefusion but i guess all good things come to an end sometime. Telecel better not mess with my data, see u soon. i use both telecel and econet. megaboost has been doing wonders for me. I prefer netone as it alllows me to make whatsapp calls… unlike econet has probably banded the calls so I cant get through. 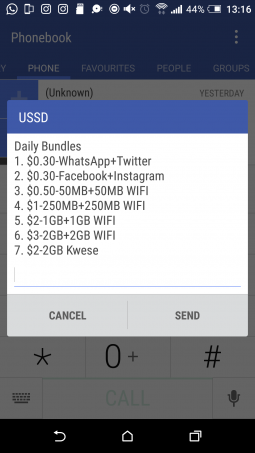 pls econet do something about this. You can now make calls and video calling on whatsap bundle using telecel.They need to be serious in upgrading coverage and signal who does that using 2g this day and edge.They need to be serious in business.